Apply lashes in half the time with this ultra-fast drying formula! Formula is latex and formaldehyde-free, making it safe and gentle for sensitive eyes. Water-resistant. 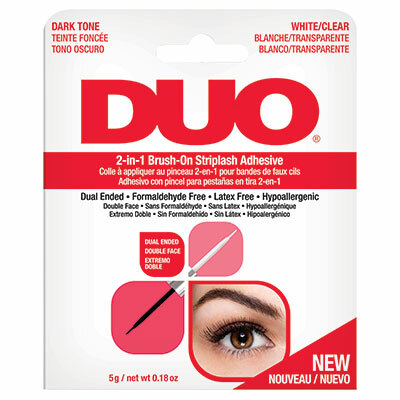 Features a dual-ended brush applicator with both clear and dark formulas for maximum versatility.